This handy progress bar above appears automatically when you enable paging with the "Page Break" field. 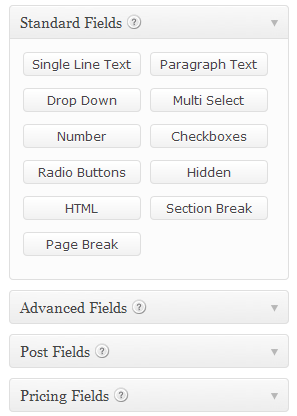 When you select the Page Break field, you can select to use the bar, steps, or none. You can also select the which style of bar you would like to use. The one above is the default blue bar. You can also choose the custom option to choose your own text and background color. You can also create custom "Next" buttons and give each page a name. *Passwords You know how when you enter a password, your typing is protected by those dots or asterisks? Ever wonder how to ask people to choose a password with Gravity Forms and keep it hidden like that? The trick is to use the single line text field and under the advanced tab, just check the "Enable Password Inut" box. So simple! *Using masks This simple "Single Line Text" can be used for quite a few things by checking the "input mask" option. When you use a generic label, it's hard to guarantee getting the information you need in the format that you want it. But you can use an input mask to help your customers understand just what you need. 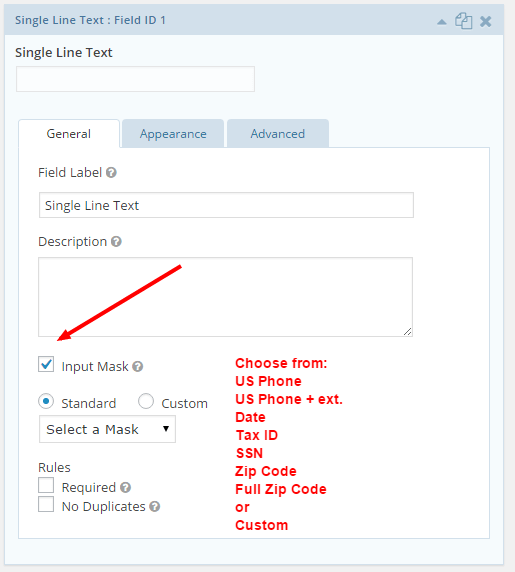 With the mask, there are already options formatted for US Phone, US Phone + ext, Date, Tax ID, SSN, Zip Code, and Full Zip Code, but you can also create your own custom mask. Below I have used it as a SSN. Please enter a number from 5 to 9. Using the "Range" setting here doesn't change the numbers the user is allowed to input, but give a notice you will see just above here that tells what numbers are appropriate and then will require that the value entered by the user must fall within this range. The "Number Format" can also be used to allow decimals. also allows you to use previous answers to calculate this number - a very nice capability! Checking a box in the form properties allows a box to be automatically checked. People can check more than one box. Option for "other" choice that includes a box for a text answer as shown above. This type of field allows only one answer. To allow multiple answers, use the check boxes or the multi-select drop down fields. This is the HTML block. You can use it to type anything. I have added a border to help it stand out. Although you can't see it, right above this is the "Hidden Field" box where you can add something that can be seen when submitted, but is not shown to the customer. Below this you will see I have added a section break and a page break. This allows you to produce multi-paged forms. 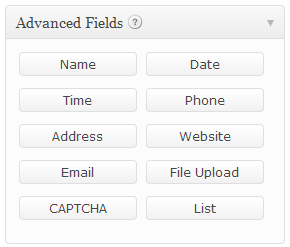 These are the Advanced Fields. This address field can be customized to hide the country, state, and/or address line 2. You can also choose to allow international addresses or only Canada or the US. If using the international addresses, you can set a default country. If you choose to only allow US addresses, you may set the default state. Allowed file extensions should be entered into the properties tab when setting up this field as well as the maximum file size you want to allow. 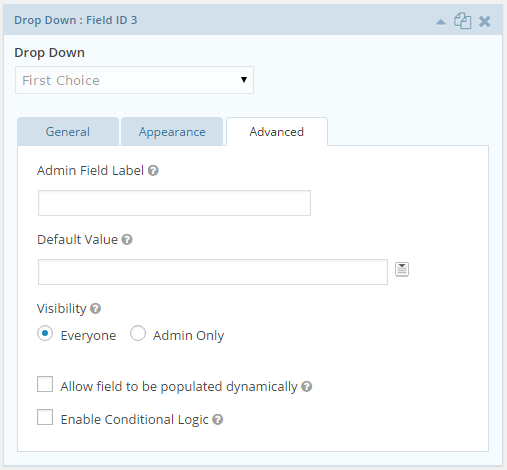 The List field allows the end user to add/remove additional rows (up to a pre-set limit) of information per field. This allows for the capture of multiple field values, or a variable "list" of data as defined by the end user. Click the "+" at the end to see additional lines added. You can also enable multiple columns, which you can give their own label, and set a maximum number of rows. You can also customize the plus and minus button. Did you know that you can use Gravity Forms to allow users to submit their own posts? Just use the "Post Fields" that you see below. Once the post has been added it is held as a draft and then an admin or editor level user needs to approve it before it appears on your site. This is a really wonderful capability! The last type of fields that are available are the Pricing Fields. This field allows you to enter a price. You can use the HTML box to show a picture. This field type has the option of a single product, drop down (as shown below), radio buttons, user defined price, hidden, and calculation. On this option, although you are allowed to list different prices for different options, the prices are not displayed unless you also add them to the label, which I think is disappointing. They are, however, calculated in the total. This is exactly the same as the "number" field we saw before. 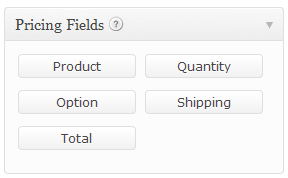 This field allows you to chose a single shipping price or multiple choices. Unfortunately, it doesn't allow for automatic calculation, but you can use other fields like the number field to calculate amounts or allow it to be populated dynamically or enable conditional logic to populate this field. When you use the "Total" field, the total is calculated automatically. All these Pricing Fields can be integrated with the payment add-ons like Paypal to set up your own shopping cart, but that is for another tutorial. First you will see there is a line for placeholder text and below that you can choose where you want your field label to be. I usually choose hidden and just have the placeholder text to keep the form real estate smaller. Next you can choose the placement of your description text, if there is any. You can see there is also a place to customize your validation message. This is the message that is displayed if there is an error when the user submits the form. And you can add a custom CSS class. 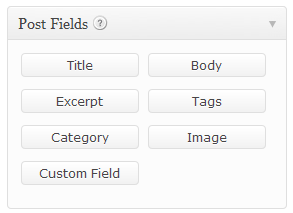 And at the bottom, you can choose the size of your field. The other tab is the Advanced Tab. 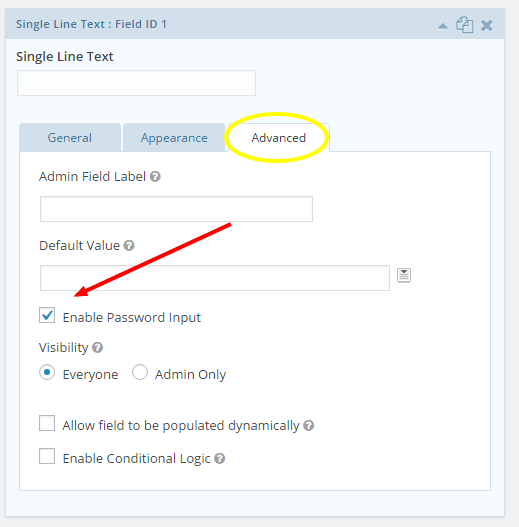 - admin label which overrides the field label, but can only be see with the admin tool, not by the person submitting the form. - default value which allows you to pre-populate the value of the field. 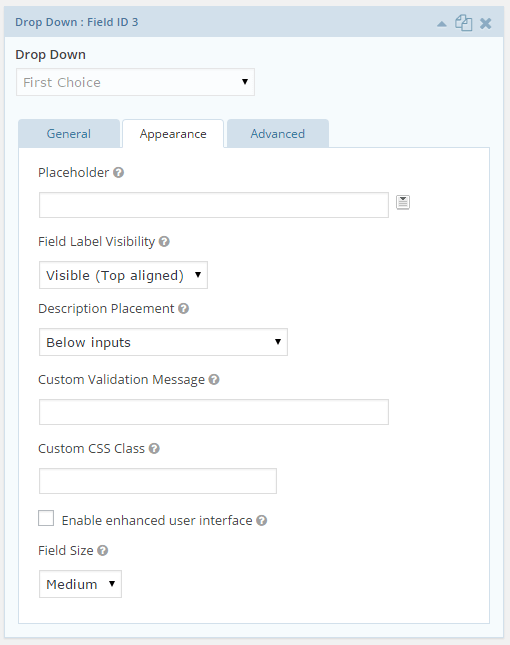 - visibility so that the field can be seen by everyone or just the admin. There are also options to allow the form to be populated dynamically or to enable conditional logic, which are covered in separate tutorials.